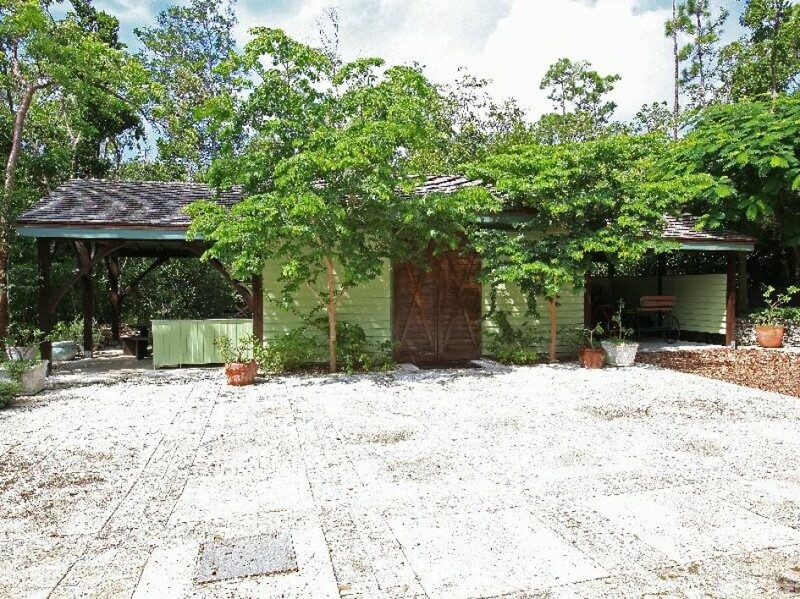 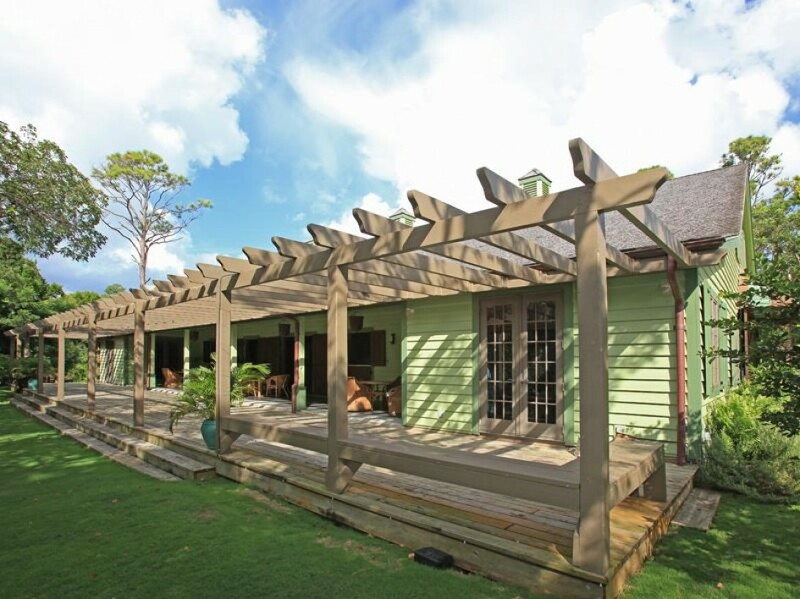 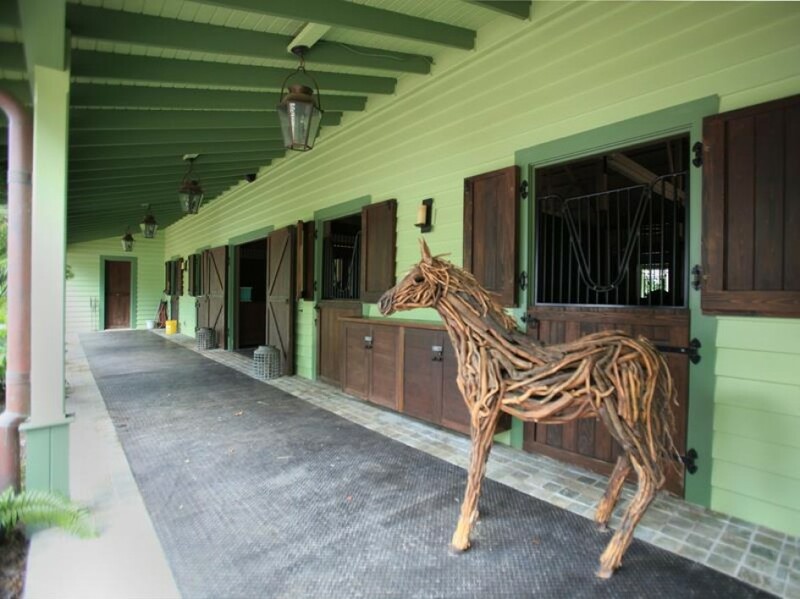 Situated in the exclusive gated community of Lyford Cay are Moon Stone Stables, a beautifully landscaped 16 acre private equestrian centre. 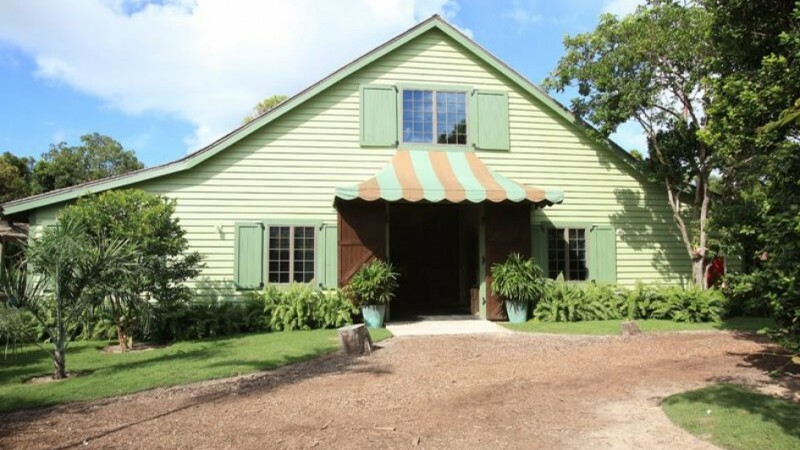 There are four main buildings to the farm. 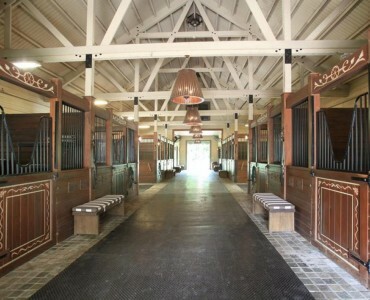 The eastern stables (6,626 sq. 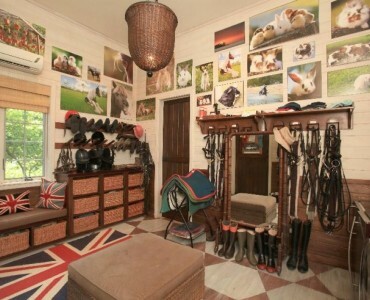 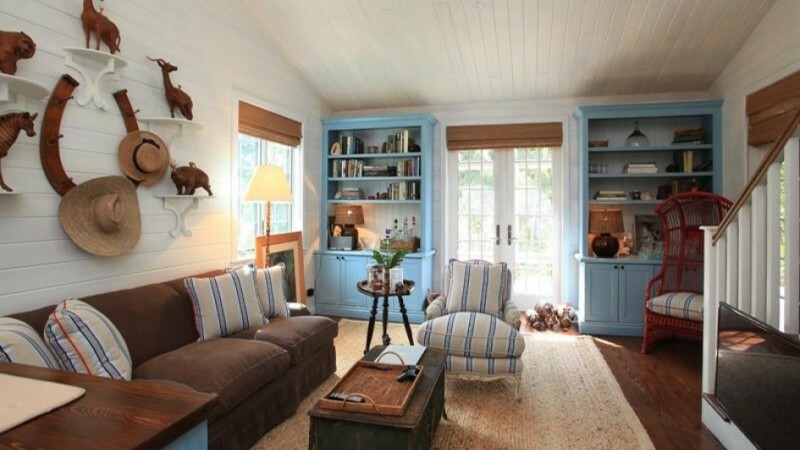 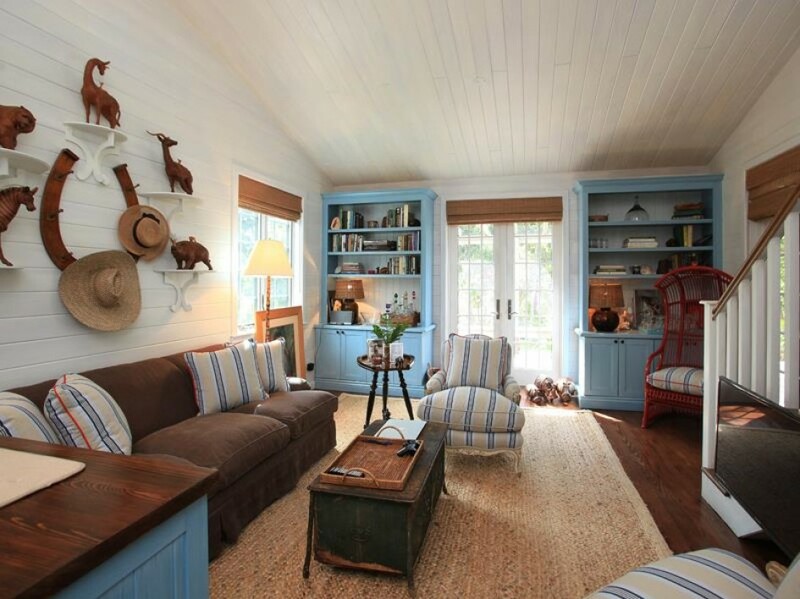 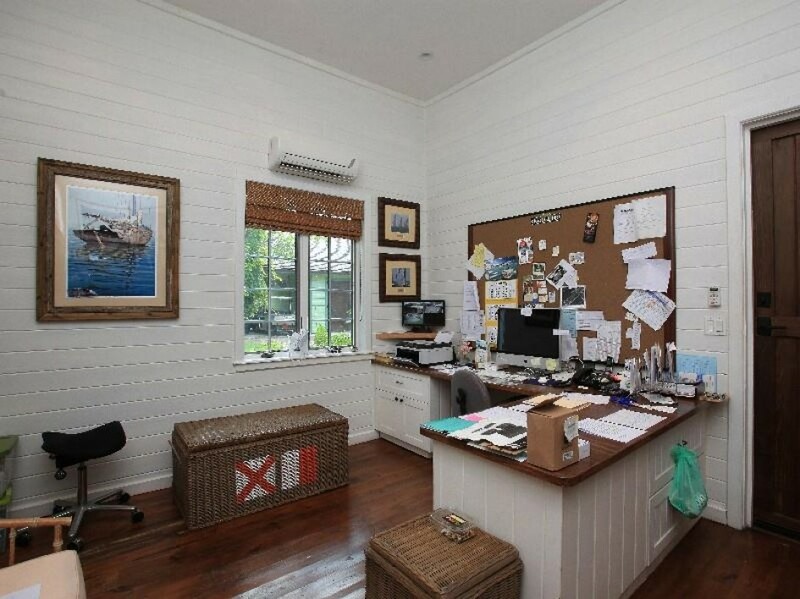 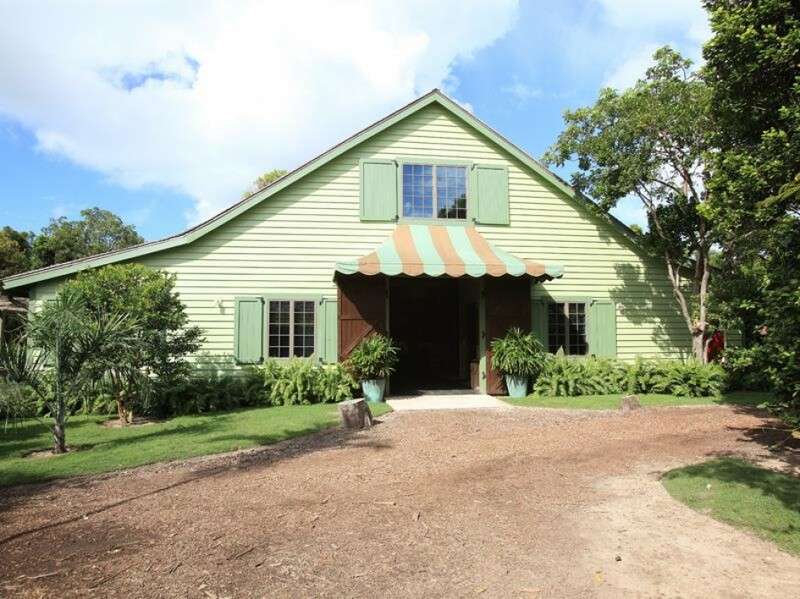 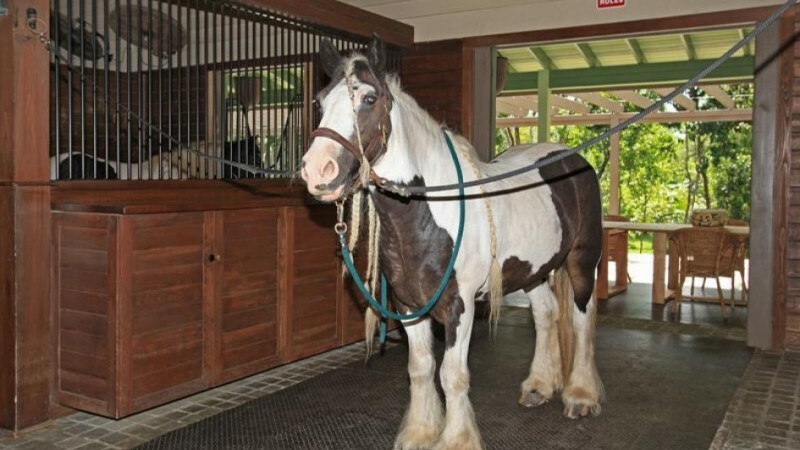 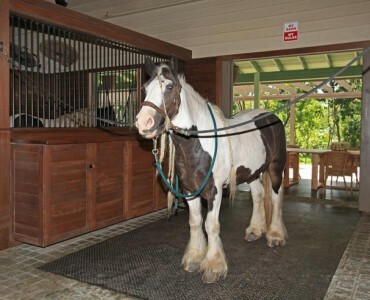 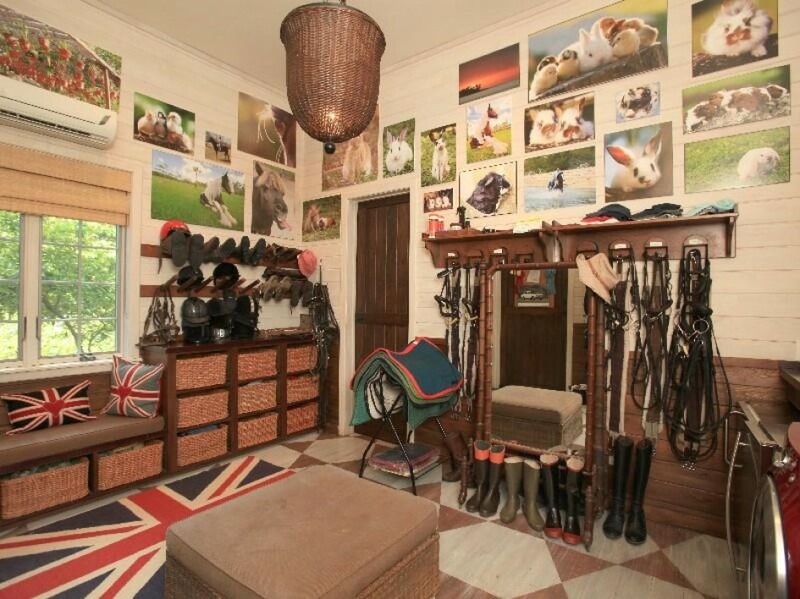 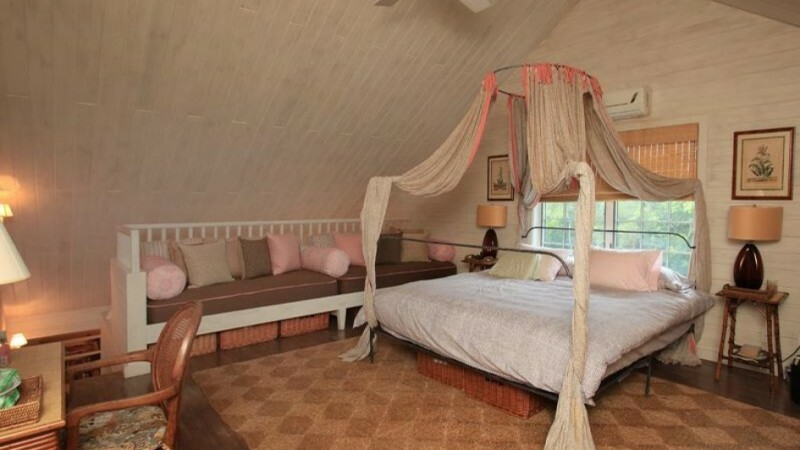 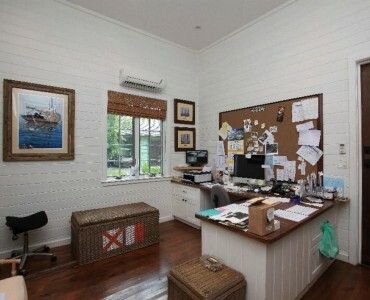 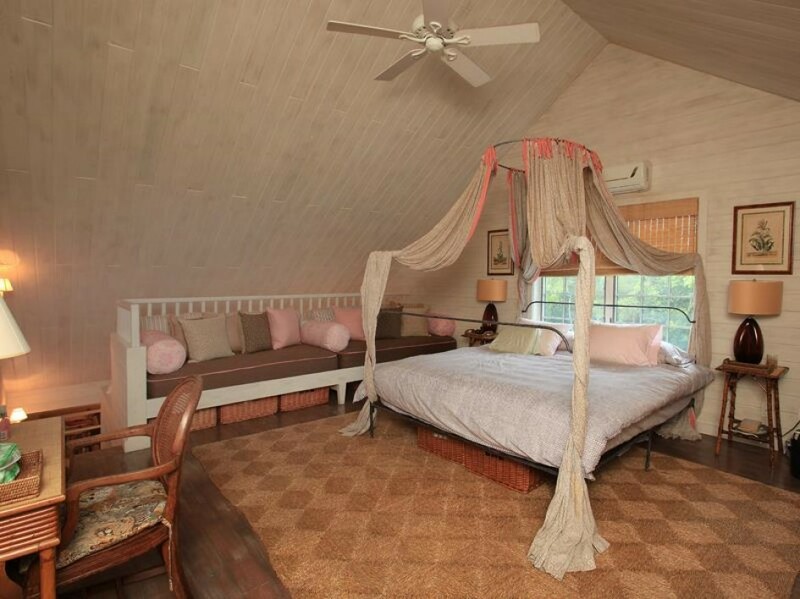 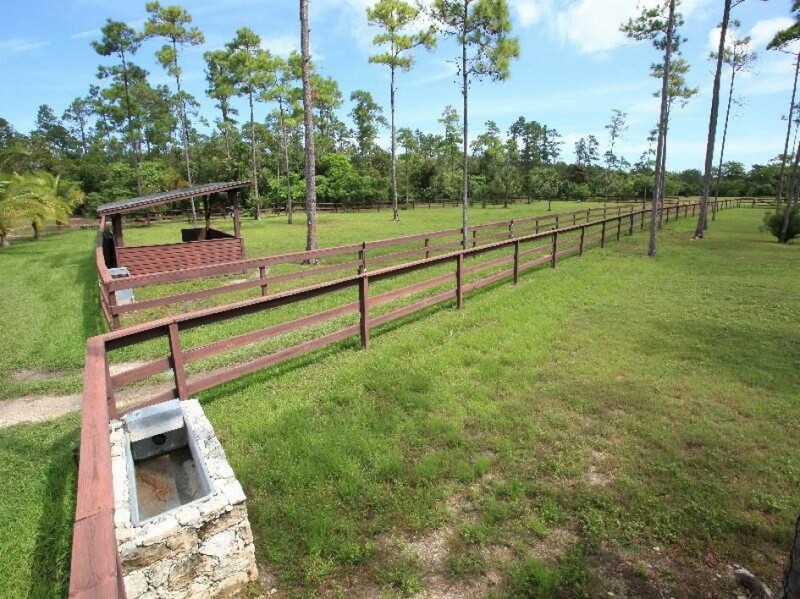 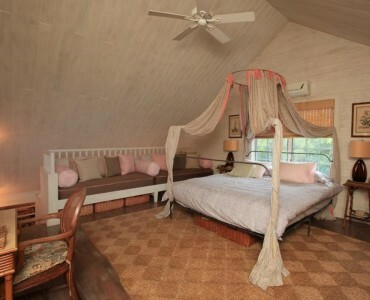 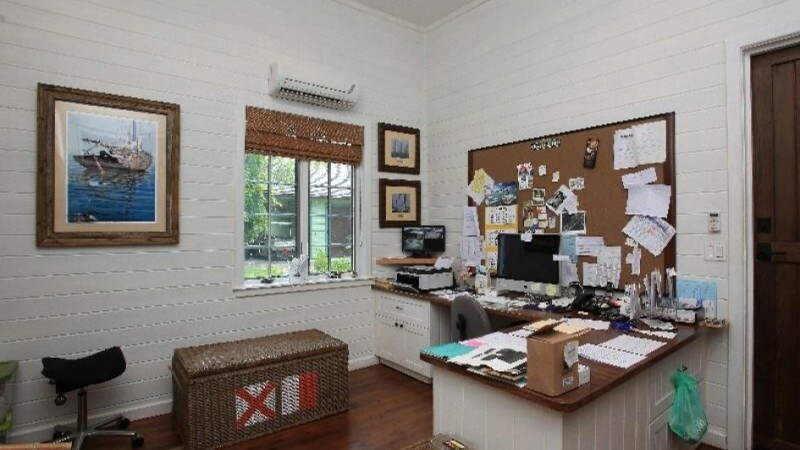 ft.) which has 8 stables, 2 tack rooms and an office and bathroom with laundry area. 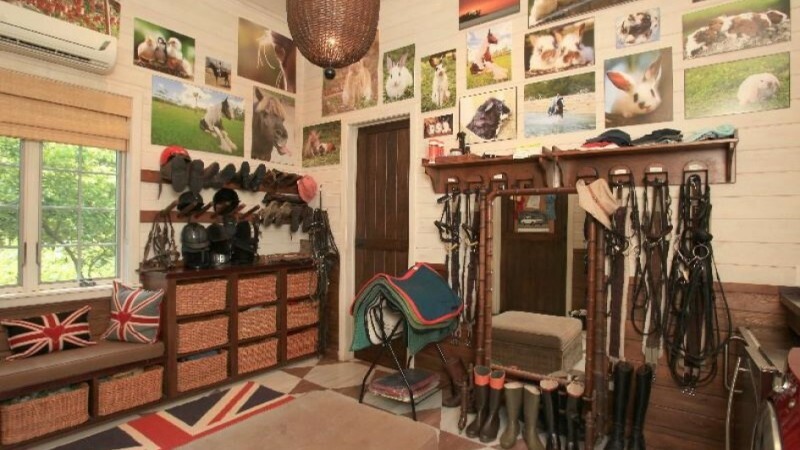 Above/attached to the stables are 2 quaint 1 bedroom apartments beautifully designed with open plan kitchen and living areas with the bedroom upstairs. 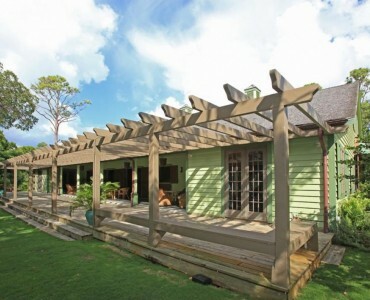 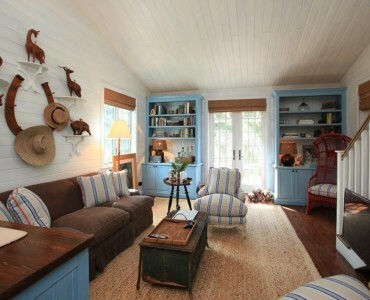 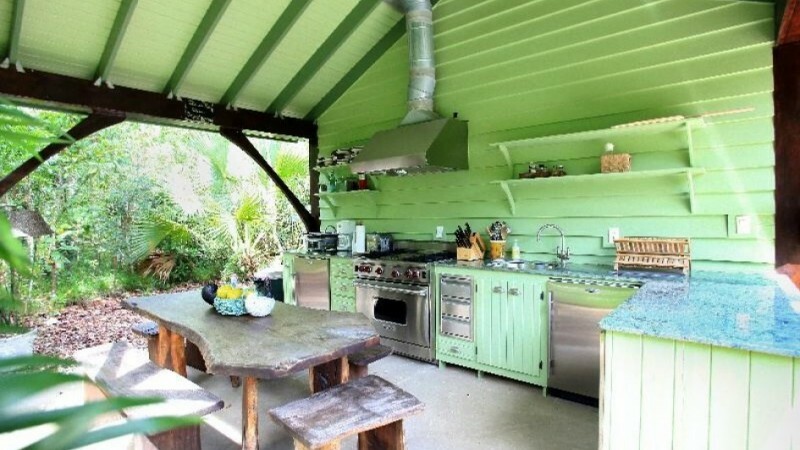 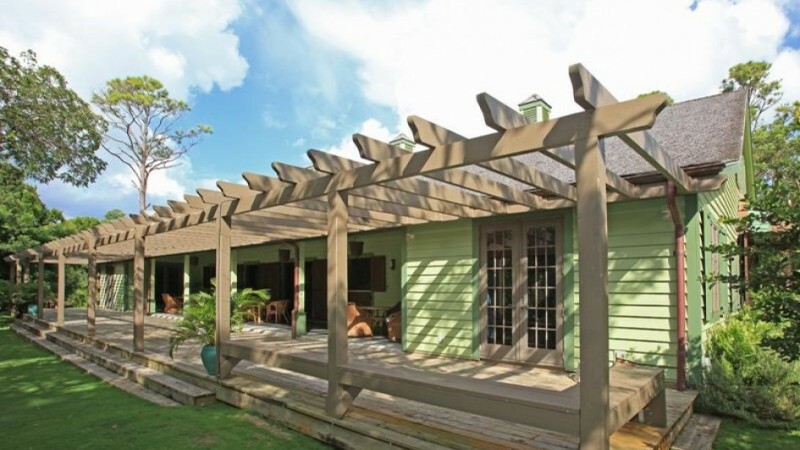 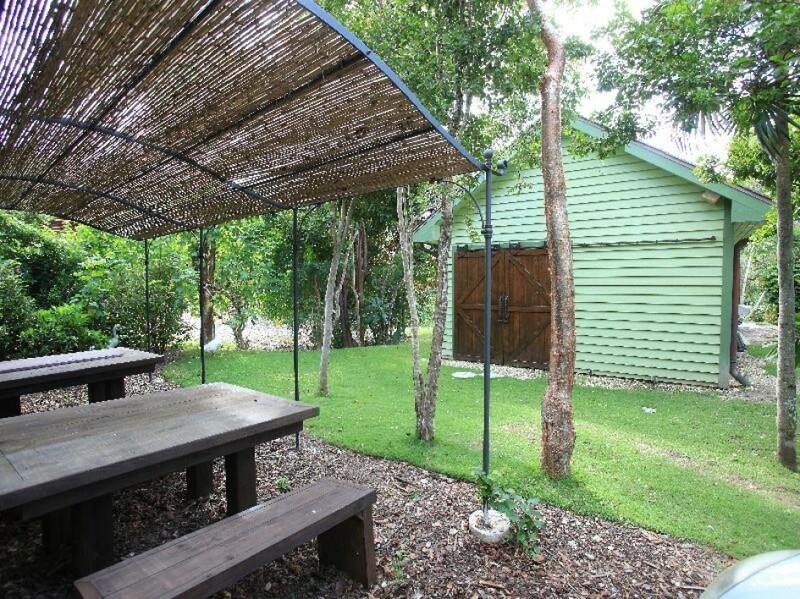 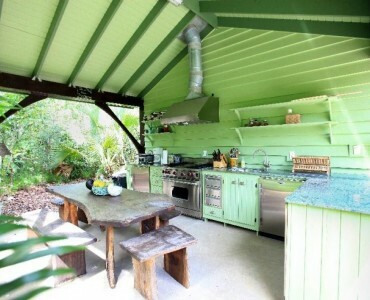 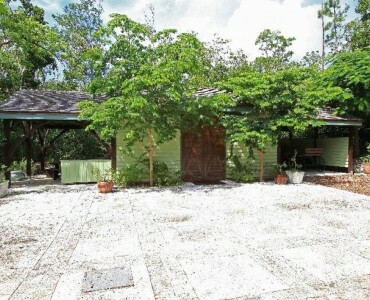 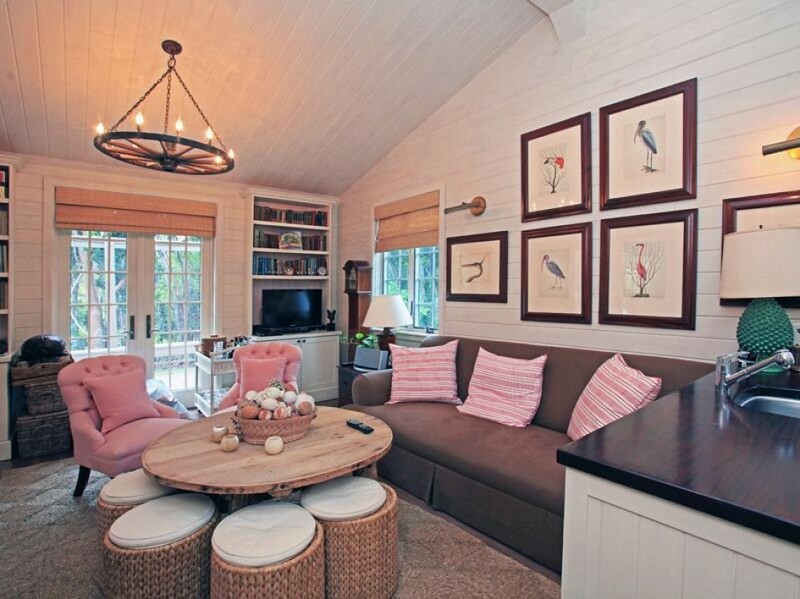 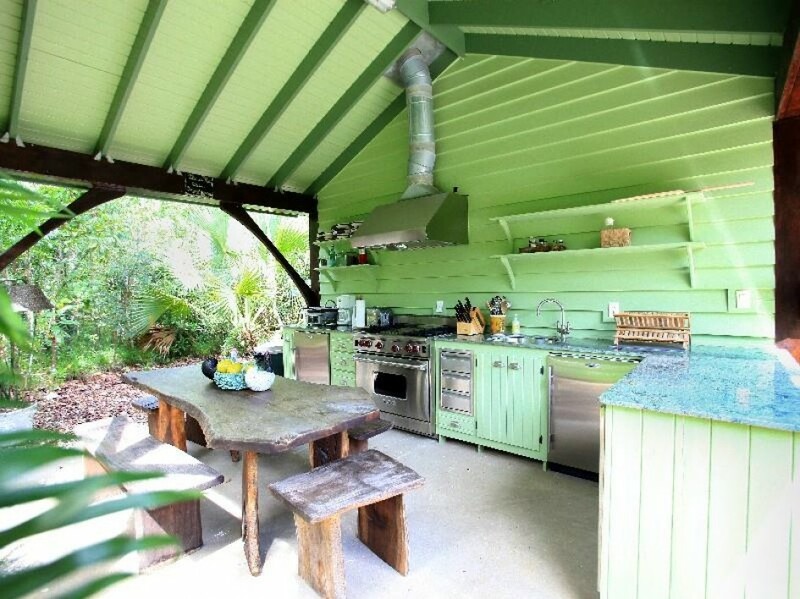 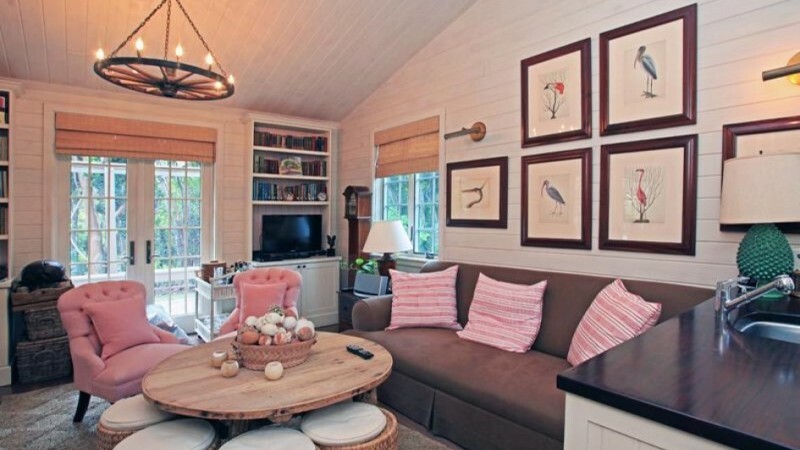 This building also features wrap around porches plus an outdoor kitchen and dining area with a traditional pizza oven. 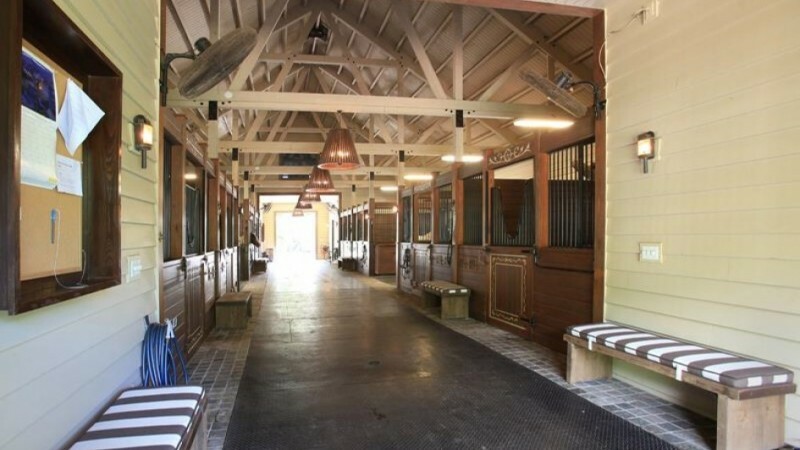 The western stables building (2,317 sq. 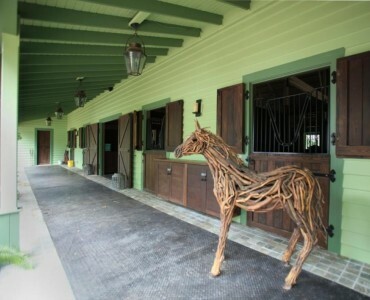 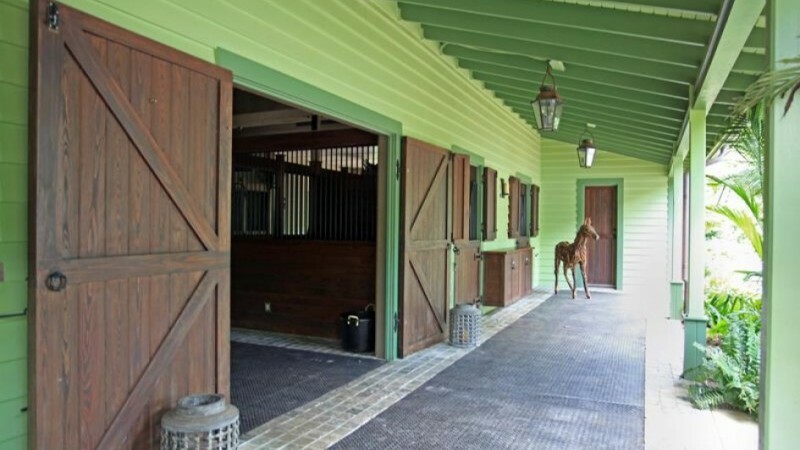 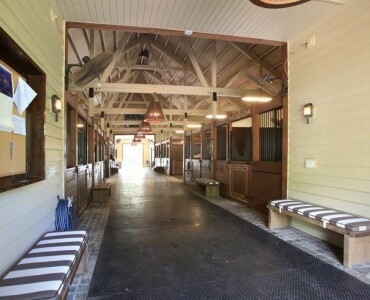 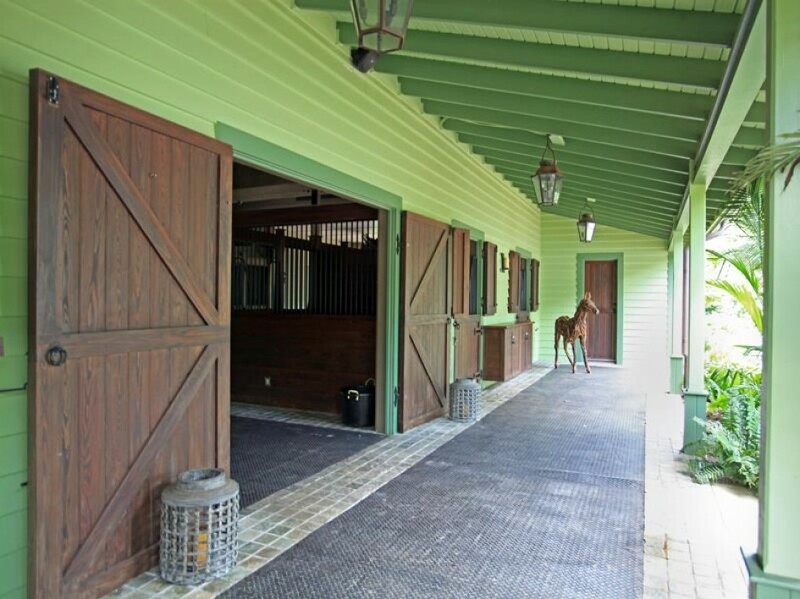 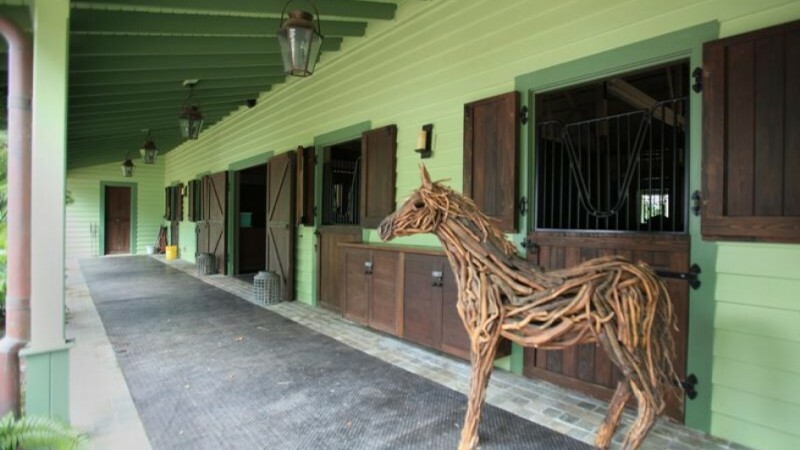 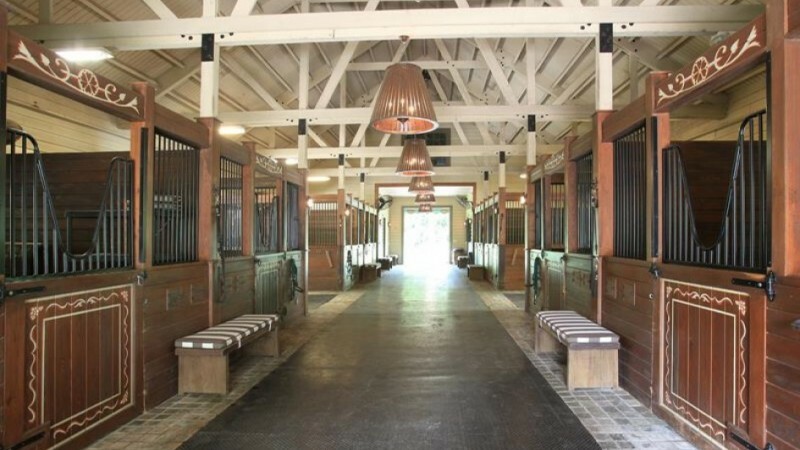 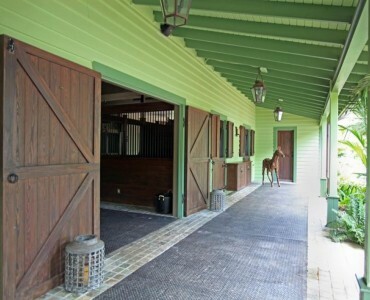 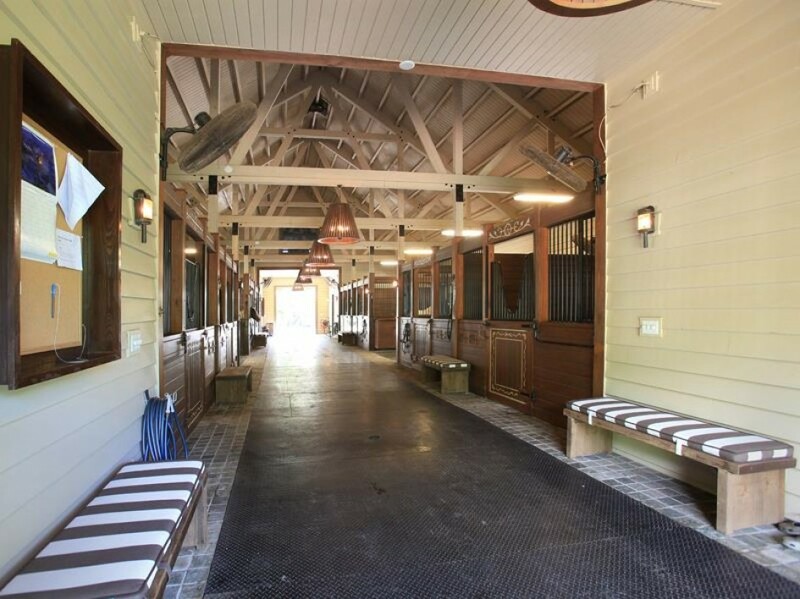 ft.) has 3 stables with wrap around porches and a horse gym. 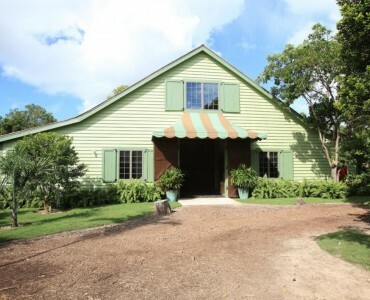 The Feed Building (1,109 sq. 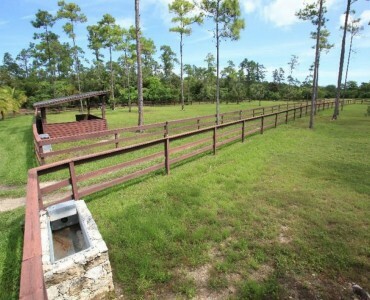 ft.) houses the utilities for the farm such as the electrical room and water pump room, plus the feed room, hay room and a breezeway with horsewash area. 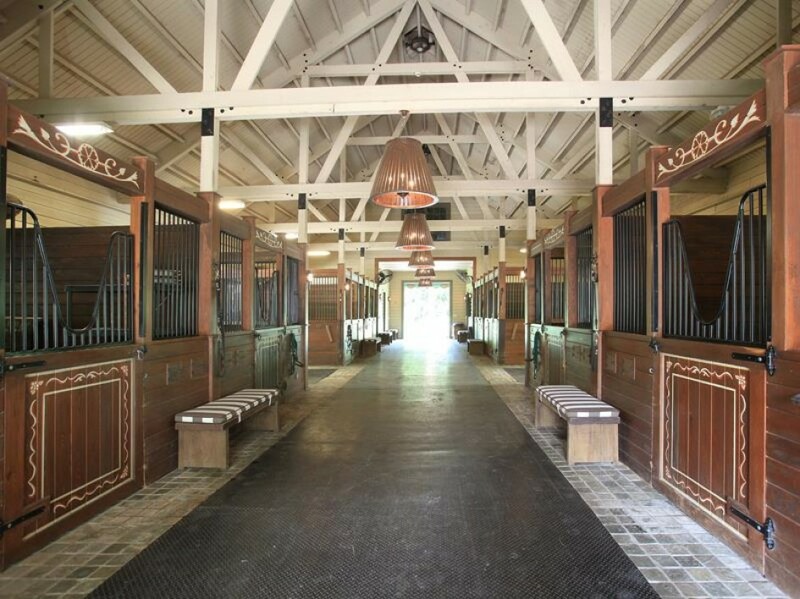 There are also 2 grooming bays here. 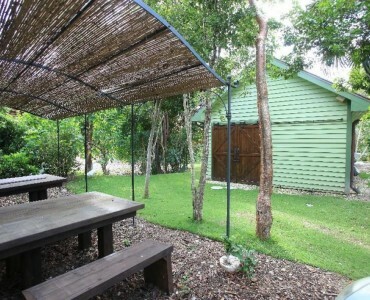 Finally the storage building (801 sq. 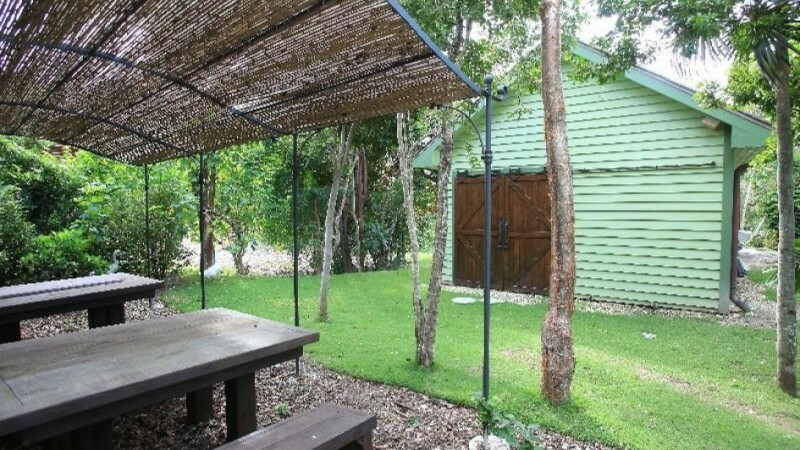 ft.) houses tools, golf cart garage and outdoor kitchen. 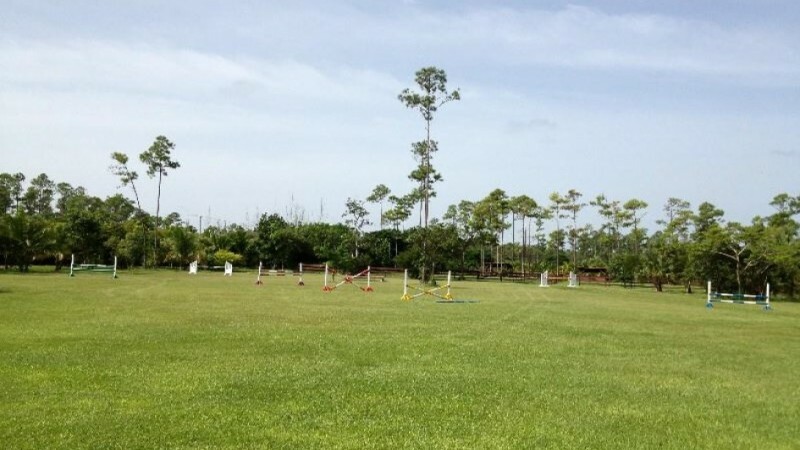 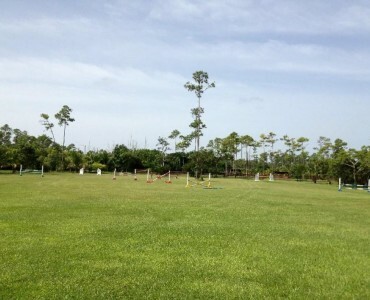 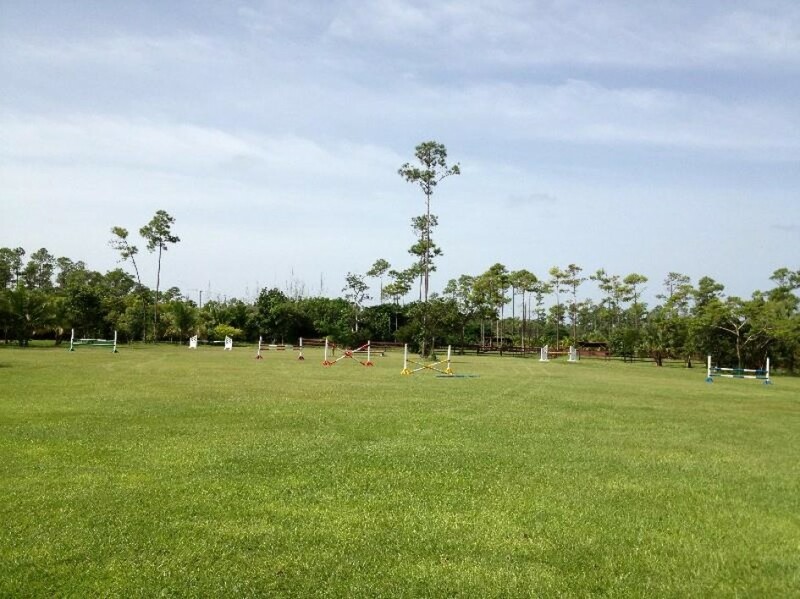 There are 6 paddocks, 3 large and 3 small plus a jumping area. 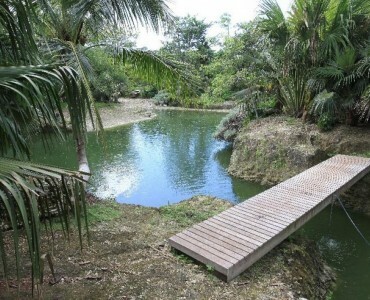 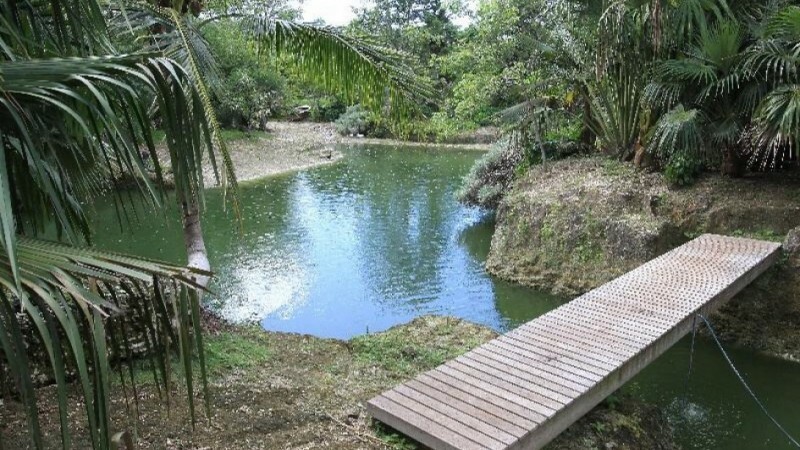 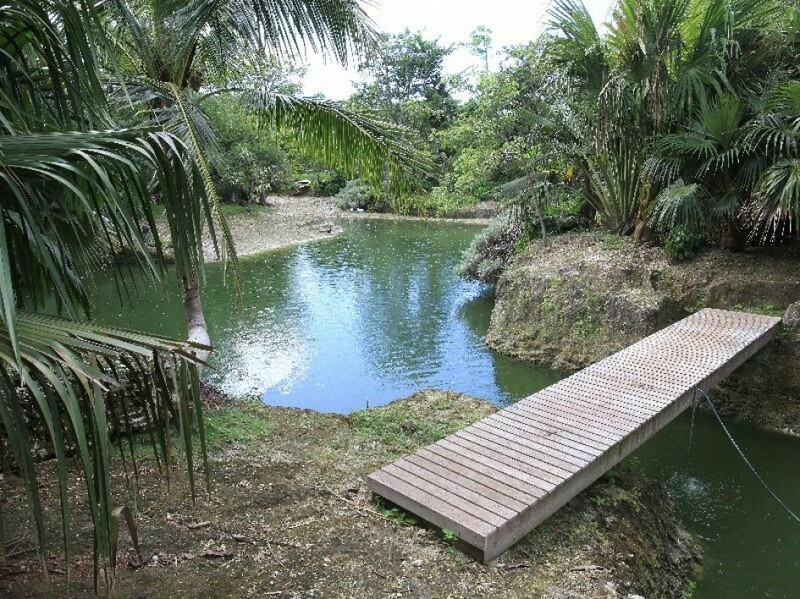 The farm also features a koi pond, native fruit trees, vegetable garden and chicken coup. 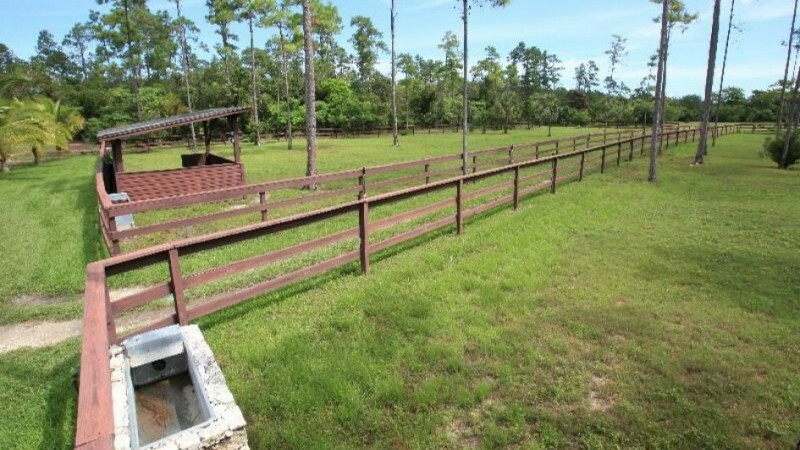 Amenities include a stand-by generator, rainwater storage, hurricane impact windows, tractor garage, rubber matting and irrigation. 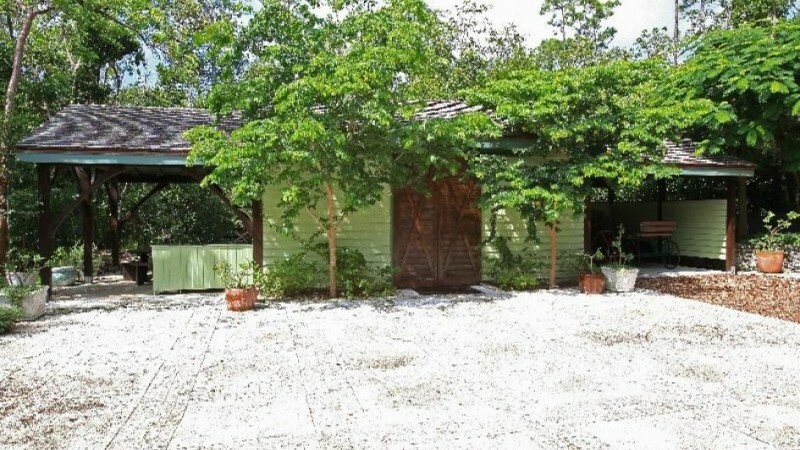 Don’t miss this opportunity to own a well-maintained and unique property.